Toilet plunger differential grease seal and all, the Metro Gnome CBR900RR-powered Geo has won the 2008 24 Hours Of LeMons Arse Freeze-A-Palooza! 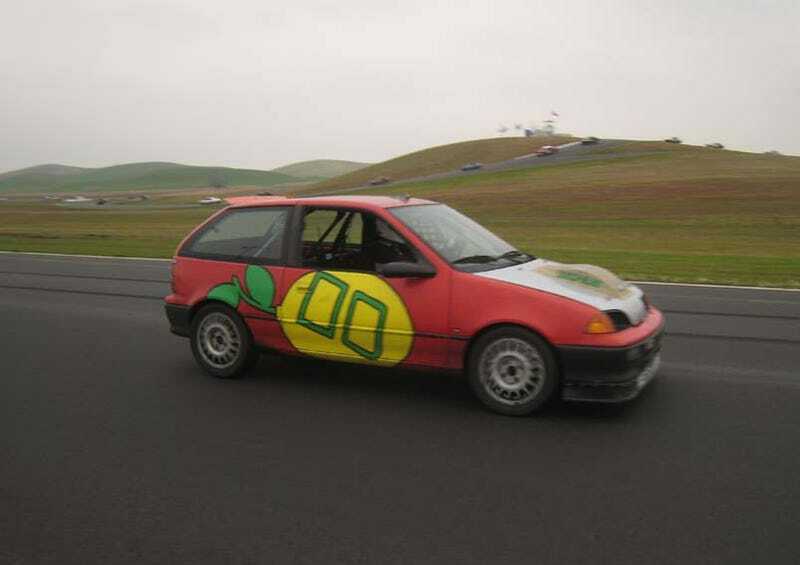 Many said it could never happen, and others said they couldn't be legit, but the 900cc Metro Gnome proved them all wrong and/or pumped up the conspiracy theories to higher levels. The internet connection speed here reminds me of one of those circa-1976 300 baud handset-cradle modems, so you'll have to wait until I get back to civilization for the in-depth coverage of what transpired over the weekend. For now: Congratulations, Team Metro Gnome!